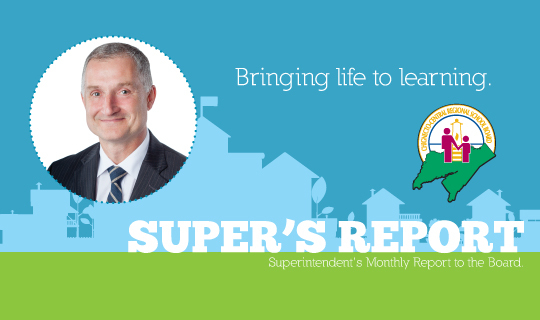 Last evening, Superintendent Adams presented his October Super's Report to the elected Board. In this issue, Superintendent Adams highlights 2015-2016 enrollment numbers, Mi'kmaq History Month, Stand Up. Speak Out., professional learning for staff (Googley Goodness!) and good news from a selection of our 70 schools. You can read the PDF, or have a more interactive experience with our new online format!